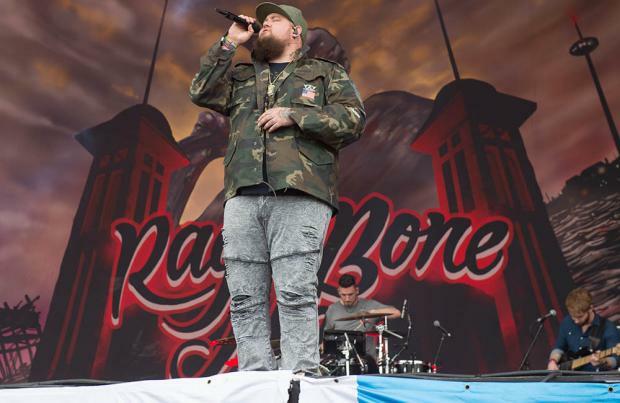 Rag 'N' Bone Man is set to perform at this year's BRIT Awards. The 'Human' hitmaker - who picked up the Critics' Choice and British Breakthrough gong at last year's ceremony - has been asked to hit the stage at the music extravaganza, held at The O2 Arena on February 21, for a killer performance. Taking to his Twitter account on Saturday (13.01.18), he said: "Jheez! 2017 has flown by super quick. Its pretty mental to think that I bagged 2 awards at the @Brits last year and now I'm heading back to perform #brits (sic)"
The 32-year-old singer - whose real name is Rory Charles Graham - will join the likes of Ed Sheeran, Sam Smith, Stormzy and Foo Fighters who are also performing. The 'Skin' hitmaker has had an exceptional 12 months as his debut album 'Human' went straight to No.1 upon release - achieving the fastest selling UK male debut of the decade - and has so far spent over 47 weeks in the UK charts. BRITs Chairman & CEO and Chairman of Sony Music UK & Ireland Jason Iley said: "Rory epitomises how dreams can come true. He has had the most amazing 12 months and I'm so delighted to see him back where it all started." Meanwhile, on Saturday (13.01.17), the awards will kick off with the nominations launch show, 'The BRITs Are Coming 2018', which will once again be hosted by Emma Willis, and will air on UK TV channel ITV from 5.45pm.